All Reconditioned, Used, Re-purposed, and FDA juice, soft drink or Pepper Barrels and Drums are triple washed, & Leak Checked & nearly new excellent condition, Clean and used one time. 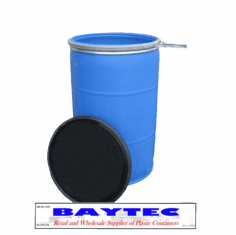 Notice: Drums may have an odor and/or a residual of the product previously stored in it, and should be Rinsed again prior to use. 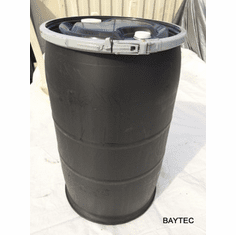 Although most of these barrels are like new condition, but Baytec does NOT recommend these for any Human Consumption. 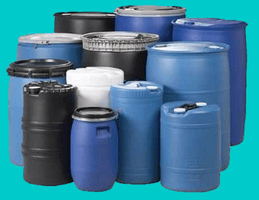 Some barrels and drums may also have scuffs or wear because they are previously used. The colors may have variations from the pictures seen here due to outside exposure and the products stored in them. Some of these would be perfect for Compost Drums or Deer Feeder Drums. Notice: Under no conditions should these drums be used for the production of and/or storage of food products for human consumption. 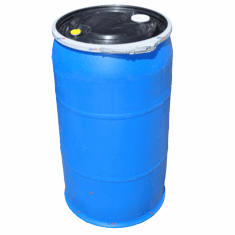 Please check your local government regulations concerning the use of Drums and Barrels in your area. 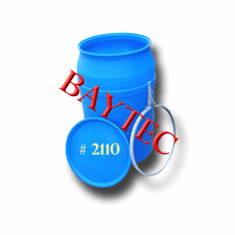 BayTec assumes no responsibility for the use of any barrel or drum for a particular use. 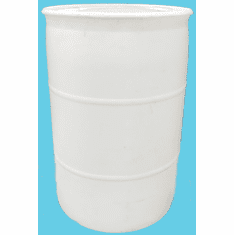 These are heavy-duty, food grade FDA approved plastic barrels patterned after steel drums. These thick-walled (1/8") units will never rust. 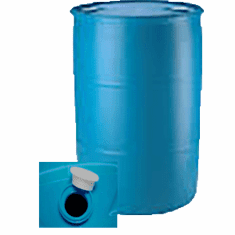 Most Barrels have two large filling openings (bung) -- Each closed-Top 55 gal drum and 30 gal drum is fitted with one 2" fine thread cap and one 2" course thread cap (note; 2" course bung cap has 3/4" cut-out tap for a faucet. Each 15 gal is fitted with one 2" fine thread and one 3/4" fine thread, All three fitted with "O" ring seals. 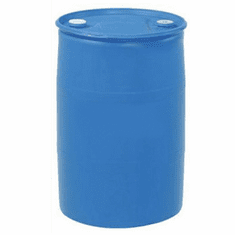 The 55-gallon barrel is 23-1/2" diameter x 35" high. 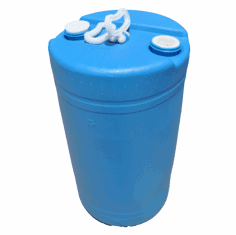 The 30-gallon is 19-1/2" diameter x 30-3/4" high. 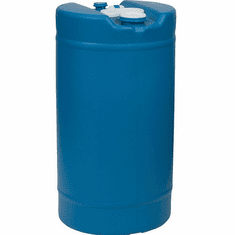 The 15-gallon is 15" diameter x 24" high. Open -Top Barrel does not have any Bung Cap Fittings. 1 - 1 pieces $69.95 ea. 2 - 9 pieces $64.97 ea.